The Secretary of State’s office will mail out ballots this Friday for the upcoming August 7th top-two primary. Of the 49 Legislative Districts in the state, 17 districts have just one or two candidates on the ballot per race. For the other 32 districts, here is a rundown of some of the most interesting primaries we will be keeping an eye on. In twelve legislative races, incumbent candidates are facing challengers from their same party. This is true for both Sen. Tim Sheldon (35th LD) and Sen. Patty Kuderer (48th). Irene Bowling is running for Sheldon’s seat for the second time and Kuderer will be facing off against former state Senator Rodney Tom in the primary. Tom and Sheldon, who both filed as Democratic candidates, joined together to caucus with Republicans as part of the Majority Coalition back in 2012. Since announcing his intent to run, Tom has faced sharp criticism from some Democrats. Also facing a same-party challenger is Representative David Sawyer (29th LD). In February, The News Tribune published a story in which eight women accused Sawyer of workplace misconduct and crossing professional boundaries. A recent investigation into these allegations found evidence that Sawyer had violated workplace ethics policies. Sawyer has since resigned from his position as Chair of the Commerce and Gaming Committee but has not dropped out of the race. 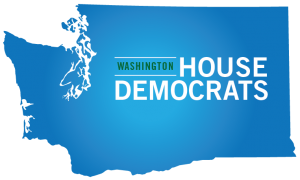 Democratic challenger Melanie Morgan has received endorsements from the Pierce County Democrats as well as elected officials like Attorney General Ferguson, Rep. Pat Sullivan, and Sen. Karen Keiser. Also of note, in the 32nd LD Sen. Maralyn Chase is facing off against Democratic challenger Jesse Salomon. Chase first served in the House of Representatives from 2002-2010 before beginning her time in the Senate in 2010. Despite Chase’s many years in office, Salomon, who currently serves on the Shoreline City Council, recently received the Seattle Times editorial board’s endorsement. We will also be keeping our eye on the many races without an incumbent candidate. About a dozen legislators announced their retirement following the 2018 legislative session and as a result, several districts are seeing highly competitive races. In terms of sheer numbers, the Senate race in the 34th legislative district, held by retiring Majority Leader Sharon Nelson, has the most crowded field with 11 candidates. This will be one to watch. Also, in the open 12th LD, Independent candidate Ann Diamond has raised over twice as much money as the Republican and Democrat candidates in the district. 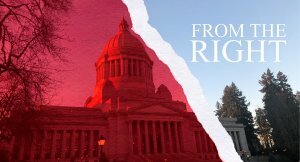 There hasn’t been an independent in the Washington legislature for over 100 years. Senate Minority Leader Mark Schoesler has pointed to the 44th, 38th, and 21st Legislative Districts as some of his top Senate races to watch. While the primaries aren’t likely to produce big upsets, these races will become increasingly important moving into the general election. In the 44th LD, Senator Steve Hobbs is running against Republican Doug Roulstone and Libertarian Jeremy Fitch. In this editorial, Isaac Kastama of Water Street Public Affairs, outlines the “fraught pathway” to a Republican Senate majority, which involves taking out Hobbs. According to Kastama, the Senate GOP Leadership PAC has reserved $36k per week in TV advertisements until August 7th – featuring one advertisement that targets Hobbs specifically. In the 38th LD, Senator John McCoy is running against Savio Pham who prefers the Ind. Republican Party. In the Senate race in the 21st LD, Sen. Marko Liias is running against Republican Mario Lionel Lotmore.